That would be Amorphophallus lewallei. 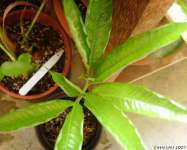 Anyone does: it is Amorphophallus lewallei. but as is so often the case the picture I saw gave no real reference to size. expected? For a flower of this size how big a tuber would be expected? Cute is the word, believe me!!!!!!!! least once every two weeks). The East African species are WILD about that. So it may grow from "cute" to "dangerous" (as in mothers-in-law). 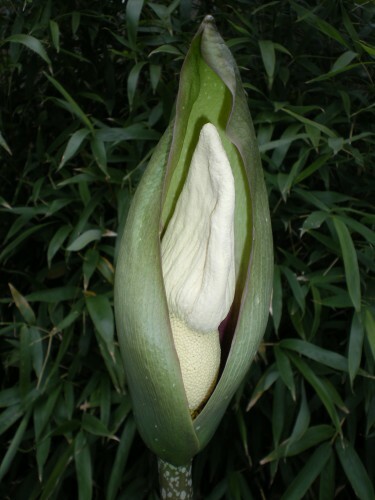 > >Anyone does: it is Amorphophallus lewallei. I wish that it was "in my hybrid" but the picture alas was not mine! you'll all hear the celebrations when it finally does!! of years ago). Very helpful!! This spring I bought this Amo as A. asterostigmatus. But at the Aroid.org website I saw a different picture. Now I need your help to identify this. Jani - koratensis has a globose tuber, medium brown and a bit rough. and also very thin skinned - I won't comment on the color. This is Am. koratensis. You've been HAD !!! Aroid.org website I saw a different picture. This spring I bought this Amo as A. asterostigmatus. But at the Aroid.org website I saw a different picture. A sarki nyelviskola a m?lt sz?zad int?zm?nye, a XXI. sz?zad? az INTERNETES NYELVISKOLA!http://www.mediabo.hu/nyelviskolacitro.html Kattints! I have attached the tuber pictures. XXI. sz?zad? az INTERNETES NYELVISKOLA!http://www.mediabo.hu/nyelviskolacitro.html Kattints! Tubr and plant still fit for Am. 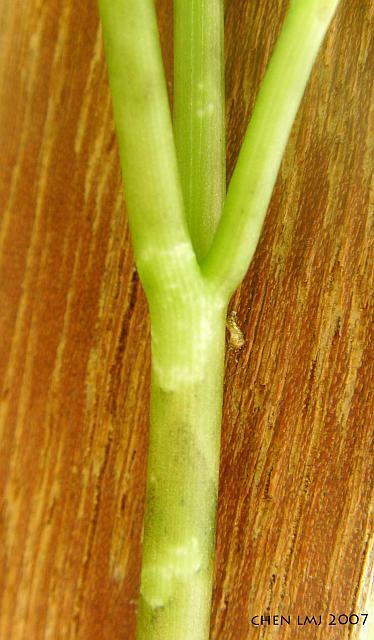 petiole form of Am. koratensis. a XXI. sz?zad? az INTERNETES NYELVISKOLA!http://www.mediabo.hu/nyelviskolacitro.html Kattints! 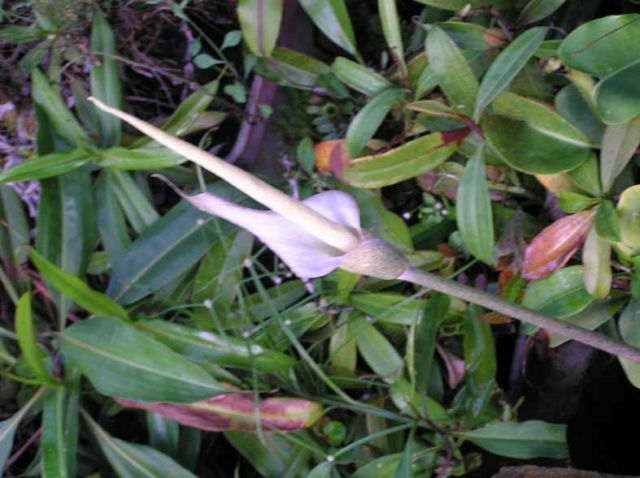 Appreicate any help with the ID for this plant - it's from Kelantan, Northern Malaysia. Thanks very much in advance ! 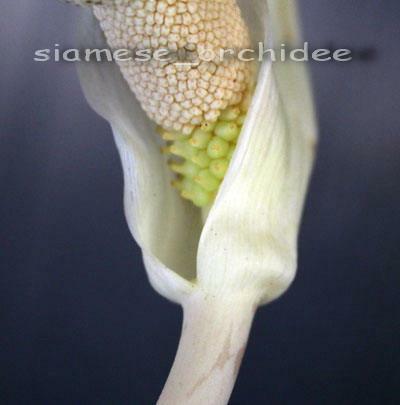 Can anyone ID this Amorphophallus species for me?It came from the Chen Yi nursery in China as Konjac,which clearly it isn't. I got that one (or very similar) in 2000 as A-101. Mine is similar, but not quite yunnanense or albus or dunnii. Winter hardy here in a zone 7 garden. That would be Am. yunnanensis. 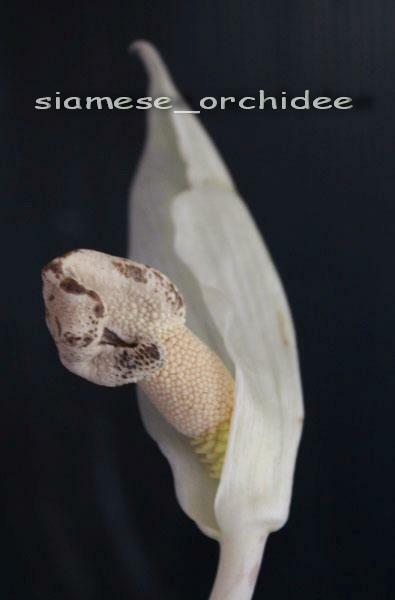 > Chen Yi nursery in China as Konjac,which clearly it isn't. > View your Twitter and Flickr updates from one place � Learn more! Many thanks Wilbert and Bonaventure for the ID,very much appreciated. 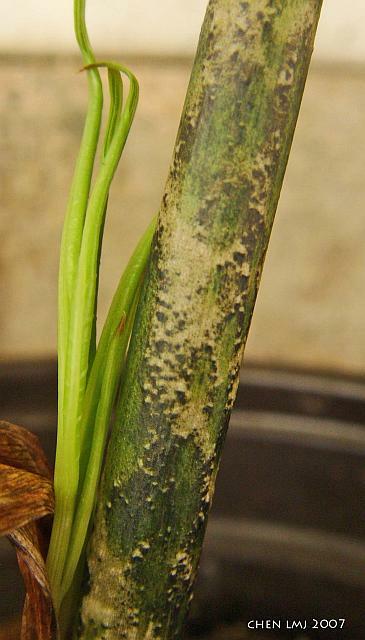 I grew that Amorphophallus atroviridis tuber pictured on the IAS Web site back in 1998 in a pot that was about 35 cm deep to allow for the elongated growth habit of the tuber. When this species is grown in shorter pots, the tubers will look like those that you got off of eBay. > Could be the same? > Andrew Telecommunication Product S.r.l. > this email is prohibited. them and you'll know it in 3 weeks. > contain privileged, proprietary, or otherwise private information. Thank you Wilbert and Scott, I will wait to view the foliage and will post a new photo for the identification. Scott do you have a supplier for pot 35 deep, I have arranged with some plastic tube closed on one side, but if I find a supplier for deep pot is better. 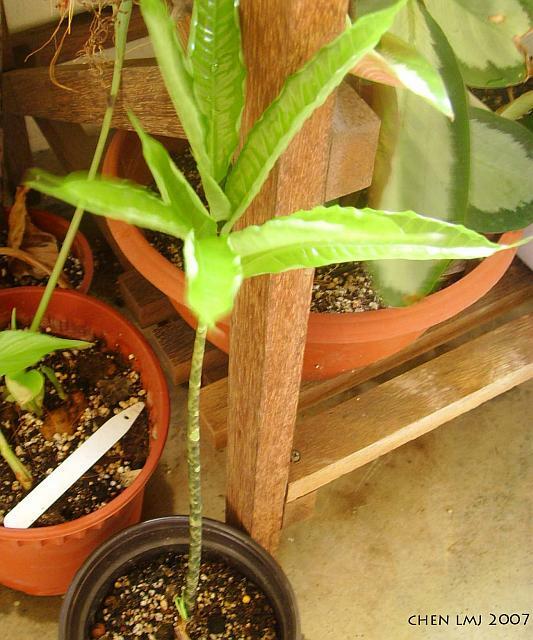 The tree pots I use for growing long-tubered Amorphophallus like A. > will post a new photo for the identification. > deep pot is better. Thank you, I have found all! On the next days I will place the order. Oh what ELEGANT, BEAUTIFUL PICTURES! The blooming one can be A. variabilis, but I'm not sure. Where was it growing (country)? Oh, thanx, so it's variabilis. Can sombody please ID this AMorph please? I refuse to participate in the in the recession. have bought a small Alocasia with a trade name 'Black Magic'. 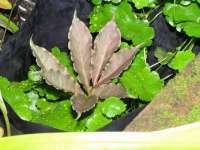 It is very small now, the largest leaf blade is 14 cm. 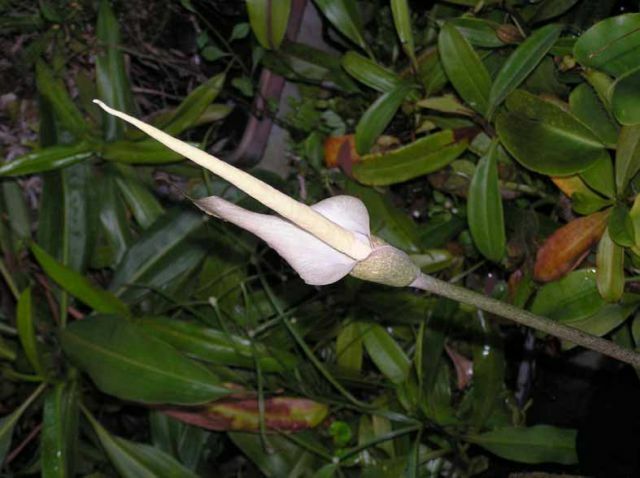 I append photos of this plant taken with and without flashlight. think it is a species? How large does it grow? I have bought a small Alocasia with a trade name 'Black Magic'. 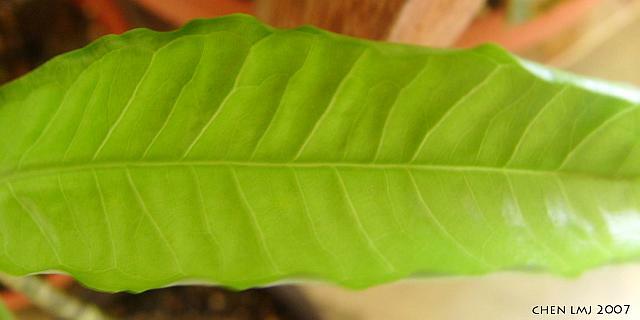 When photographed with flash the leaf surface reflects red. It also reflects red when it is disposed to direct sunlight. There are red cells(?) not visible under low light. with lighter longitudinal dots 1x2 mm. The peltate leaf base wraps the petiole. Do you think it is a species? I attach photos taken using various lighting.